Make your home easy to find during the day or at night with this address plaque kit. Crafted to add an elegant, timeless look to the front of your home, this plaque has durable plastic construction to resist the elements. With numbers designed for high visibility during the day, this will also make your home easier to find at night with its unique facing that reflects any light source at night. The Economic post mount mailbox by PRO-DF is the perfect combination of convenient and economical. Made of impact resistant moulded plastic, this mailbox will last for years. This mailbox will match perfectly any property styles. This medium size mailbox is ideal to receive small parcels. Mounting board sold separately. 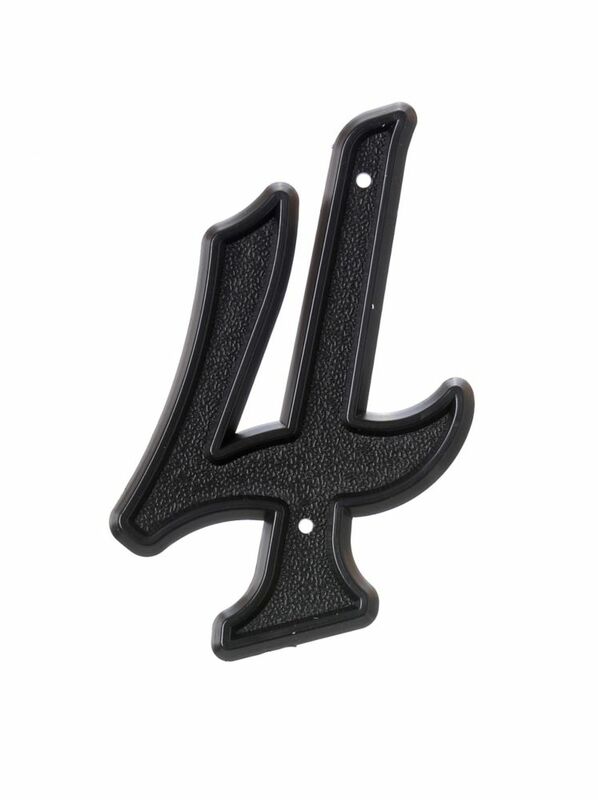 6 Inch Black Plastic House Number 4 Accent your house with the Hillman Distinctions line of house numbers.